While millions of dollars in gifts have flowed for scholarships for so-called DREAMers in recent years, as we’ve reported, there’s been a lack of more strategic and ongoing grantmaking by foundations in this area. Now, a funder collaborative has emerged to work with California’s community colleges, California State University, and the University of California to provide supports for undocumented college students and their families. This is a three-year effort called the California Campus Catalyst Fund, and it is addressing a unique need that has gone otherwise unnoticed in the recent debates about immigration. The fund recently committed to supporting 32 campuses all across the state of California starting this fall, with money for resource centers, legal services, mental health services, and other types of support for undocumented students. 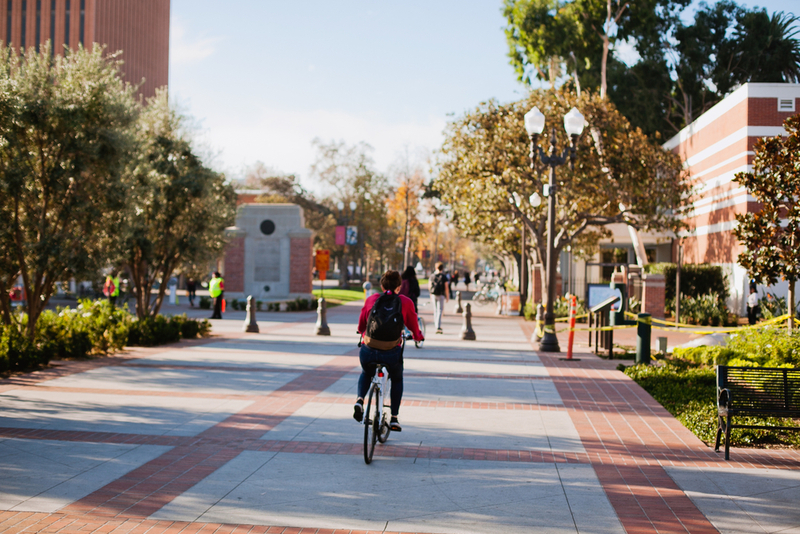 Photo: Cyclist on UCLA campus. Ganna Tokolova/Shutterstock.